Nature's Botanical first appeared in 2004 with the original aim of protecting the miners in Western Australia from the ever-present swarms of insistent bush flies. 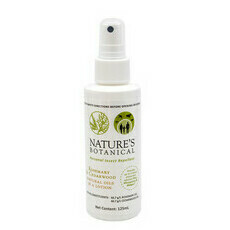 Extensive trials were carried out to find the most effective fly repellent ingredients, which revealed that Rosemary and Cedarwood performed better than any other natural or chemical-based product. 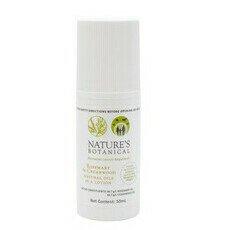 Initially not advertised nor labelled as an insect repellent, sales of Nature's Botanical sky-rocketed due to word-of-mouth publicity concerning its effectiveness, its natural formula, and how pleasant it is to use. 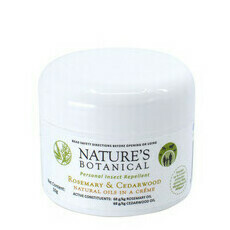 The product's antibacterial, antifungal, antiseptic and anti-inflammatory properties saw it being used for other purposes, such as to soothe insect bites and hives, relieve skin irritation, rashes, and other dry skin conditions, and reduce the pain of arthritis. After extensive laboratory and field testing, Nature's Botanical was registered as a repellent with the APVMA (Australian Pesticide & Veterinarian Medicines Authority) in November 2017. 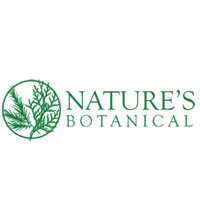 Nature's Botanical is owned and operated by a team of three, and is made in the Southern Highlands, NSW, from locally sourced and imported ingredients.